With many thanks to those that added their name in support of this letter to the Guardian. What does Carers Allowance mean to you ? again leave a comment. Family carers are among the most responsible members of society. CarerWatch, along with others, believes suggestions made in recent leaked documents of moving carers to universal credit would result in an unfair system that gives no recognition whatsoever of the contribution carers make to society. CarerWatch believes that governments should accept their responsibility to carers. Carers deserve a livable income, a separate benefit which recognises that they are not unemployed or “passive” recipients of benefit but are making an important contribution to society. Those in receipt of carer’s allowance cannot be classed as being inactive. Carers are unique within the benefit system in that they have to provide a minimum of 35 hours a week care in order to qualify for carer’s allowance. Over 1.5 million carers provide more than 50 hours’ a week of care, some providing care 24 hours a day, seven days a week. 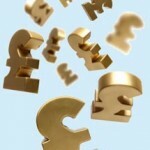 Carer’s allowance cannot therefore be considered as being a “passive” benefit. Caring places physical and emotional demands on a carer. Unpaid caring entails carrying out the same tasks and duties considered by society to be work when carried out by paid care workers. Without carers’ unpaid contribution to society, this unpaid care would have to be provided by state-funded social care staff at a considerably higher cost to society. Without carers, our NHS and social care systems would collapse. The average carer is saving the nation over £15,260 a year. A full-time carer saves the nation considerably more. CarerWatch believes these proposals indicate a failure on the government’s part to recognise that caring is not passive and that carers make a valuable contribution to society (estimated to be worth £119bn a year). This entry was posted on 1 April 2015 at 00:39 and is filed under benefits, Carers, carers allowance, universal credit, welfare reform. You can follow any responses to this entry through the RSS 2.0 feed. You can leave a response, or trackback from your own site. So True,Carers are taken for granted. Both above in receipt of state pension but no carer allowance despite caring for two dependent adults aged 25 and 32.
please add my name Debra Arrow carer of a 16 yr old with mental and physical problems and no carer allowance. I’m disgusted. I care for my 41 year old severely disabled daughter who has learning disabilities and suffers epileptic seizures every single day. She hardly sleeps so I don’t either. I also care for my mom who had Alzheimer’s and Vascular dementia and my Dad has leukemia and an aneurism. I can’t work. As well ad being exhausted all the time I am I’ll myself. I have crohns disease and need both knees and both hips replacing. I am a widow and have been living on my own savings this past 12 years. I depend on my carers allowance . £61 a week Is nothing . I don’t know what I’ll do if I lose it. As if things aren’t bad enough for us I’m now worried sick. I care for three people and am sick of being ripped off and treated unequally ! It’s a bargain price to pay. Responsible citizens needing monastery assistance to carry on. Lorraine Dunn i was a professional carer i gave up work to become a family member carer as a professional i was earning up to £10.00 per hour i got some weekends off paid holidays, sick pay ,had a team of other professionals working with me , now i work 24/7 , for first 9 months i was with out any income as pip took ages and i could not claim carers benefit till pip through for my family member , on benefit for the hours i work ,i get less than 40p a hour i can not get free prescriptions , I’ve no team i have to beg for respite ,(personal budgets welcome ) yippee , now i hear because my partner works i may lose carers benefit , I deserve to be a independent person in my own right and not have to go hand held out to hubby if i want something its degrading ,i do a great job ,why am i so undervalued ?????????? I Care for my husband 24/7. We don’t get housing or income support. Under the leaked proposals I don’t think we’d get any universal credit. My husband’s ESA is contributions based, so could be cut. Therefore I would have to go back to work and get social services involved with his care. One minute we are the ‘unsung heroes’ of our country, now we’re being stabbed in the back! Life’s hard enough without all this. I am severely disabled with a chronic illness deteriorating over time. We both worked for 40yrs. I worked from home fo several years with my illness but eventually had to leave. My husband has given up his work to care for me full time. He claims carers allowance to help. He couldn’t claim under Universal Credit. So much for ‘unsung heros’. Please add our names. Sandra and Gary Long. Please add my name-Rodney Craik. I have been the Carer for my severely disabled wife, for 12 years now! It is a 24/7 job with no holiday pay, no sick pay, no weekends off and absolutely no chance of a bit of overtime to make the money up. It is absolutely disgusting that we are “expected” to care for our partners, by the powers that be. We work harder than most and that should be reflected in the amount we are paid! £62 pw is a pittance. At the very least, the government should provide ALL Carers with “Private Health Cover”! That way, we might at least be able to keep ourselves in good health. They could call it an “Investment in the People”. Better still though, would be to pay carers the going rate. I’m sure that most of us would not begrudge paying our fair share of Income Tax and NI Contributions but, we would need to be on a “Living Wage” in order to do so. I have been caring for my mum who has Alzheimer for 4 years. We care 35 hours plus a week we are on call 24/7 52 weeks a year and are not recognised. We get less than the minimum wage for doing a full time job how is that fair, we save the government thousands of pounds. Time the government woke up and recognised what we do and what we save the country and paid us accordingly. If they cut what we get which is not enough anyway, then carers are going to have no option but to either end up in debt or return to work, that will then leave the government to financially provide care those we care for.